CLEVELAND, OH (WOIO) - Steph Curry is usually not a fan favorite in Northeast Ohio, but he may have won some over at Wednesday’s game between the Golden State Warriors and Cleveland Cavaliers. Nathaniel Stolle is battling a rare and aggressive form of cancer at the Cleveland Clinic. 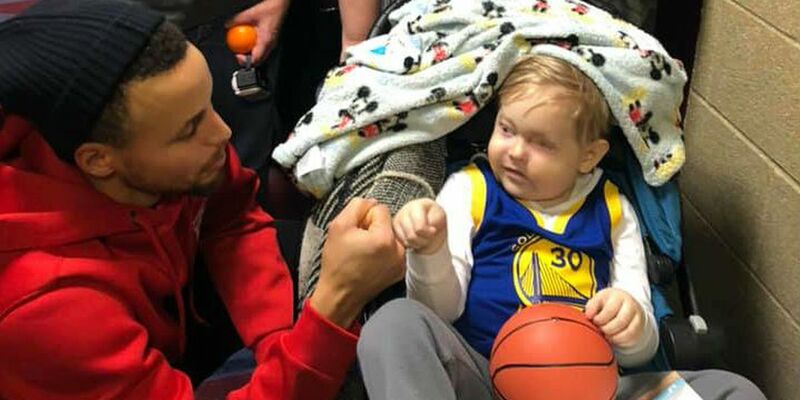 It was the 4-year-old boy’s dream to meet Curry. His wish came true Wednesday night when Nathaniel was granted the opportunity by A Special Wish to meet his icon at Quicken Loans Arena. Curry gave Nathaniel, who was wearing his No. 30 Warriors jersey, a pair of his autographed shoes. Warriors coach Steve Kerr and All-Star Kevin Durant also stopped by to spend time with Nathaniel. Following the meet-and-greet with the Warriors, more health complications surfaced and Nathaniel has since returned to Cleveland Clinic for treatment, according to his family. A GoFundMe has been established to help with medical costs.